With an extensive background in international trade and finance, Sahar brings a unique perspective and skillset to the Braswell Team at Compass. Her 12+ years of experience in business on a global level, gives her a strong understanding of the importance of market value, negotiation and unparalleled interpersonal skills. 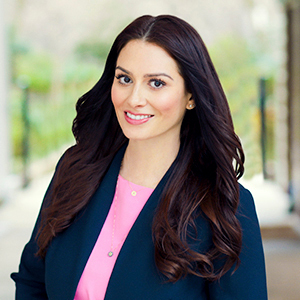 As a native Houstonian, Sahar graduated from the Bauer College of Business at the University of Houston with a degree in Finance and Marketing. Being located at the hub of the Oil & Gas industry, she started her career as a commodities trader. This role took her to every corner of the world where she successfully negotiated deals ranging from petrochemical trades to uranium off-take agreements. She has called NYC home for the past 7 years. Whatever your real estate requirements are, whether you are buying, selling or renting, Sahar will skillfully guide you through the process, offering in depth market knowledge and detailed attention while working diligently to promote your best interest. The transition from finance to real estate is a natural one for Sahar, where she implements her skills in structuring and negotiating the best deals for you with the utmost integrity and honesty.